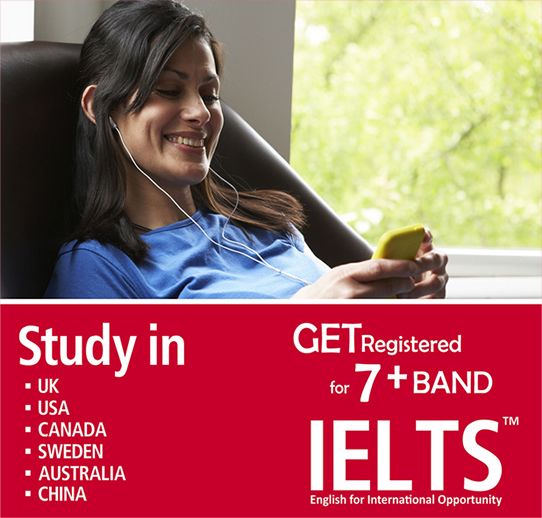 IELTS test is one of the basic requirements for studying in most of the institutions abroad. For this purpose, Off Campus Consulting provides special coaching that helps the aspiring students prepare for the IELTS exam. The coaches on board are well informed about the requirements of this exam and how they should prepare the students for it so that they can clear the test successfully. There are four basic steps of this test: Reading, listening, speaking and writing. With respect to speaking, a face to face test is conducted by a certified examiner to check the skills of the student. This test is very similar to a real life situation and gives the student an exposure regarding the type of test that he will be dealing with. One of the biggest advantage that Off Campus Consulting gives to the students is through its partnership with British Council. This implies that IELTS test for Pakistani students can easily be registered and booked with the assistance of British Council Pakistan. As a result of this the students are able to get the right dates of exam, the application forms, practice material as well as bank details. To help students get registered with this significant test, the organization provides one window service. Not only this, free practice material is given to the aspiring students so that they can prepare well for the exam with the help of the guidance of IELTS trained coaches and teachers. With this the registration process comes to an end.